A tip of the hat today to one of the Golden Girls, Rue McClanahan, who passed away overnight from a stroke. 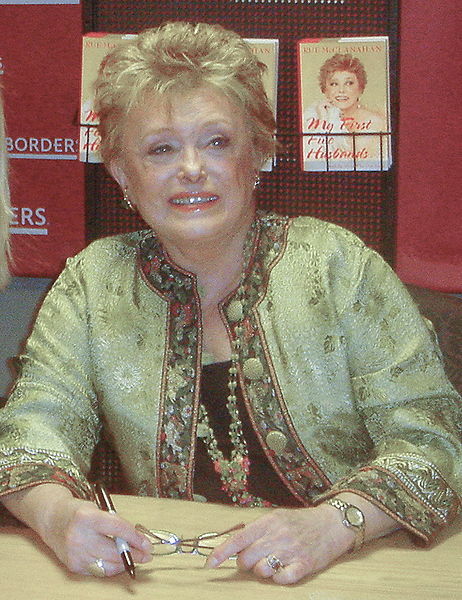 McClanahan played slightly slutty Blanche Devereaux in the long running sitcom, co-starring alongside Betty White and Bea Arthur, as well as the late Estelle Getty. The Golden Girls ran from 1985 to 1992. Previously, McClanahan had a part on the Bea Arthur based series Maude, playing the title character’s best friend. After the success of The Golden Girls, McClanahan appeared in numerous TV shows throughout the years, as well as a number of made-for-TV movies. Ill health in her later years prevented any manjor acting roles, and after sufferring a stroke while in hospital for a heart bypass in January, died last night from another major stroke. Rue McClanahan was 76.